Oklahoma State University’s online programs from its College of Engineering, Architecture and Technology rose dramatically in the latest rankings from U.S. News and World Report magazine. The magazine placed the OSU programs at 16th in the nation, up from 37th in 2018 and 31st in 2017. 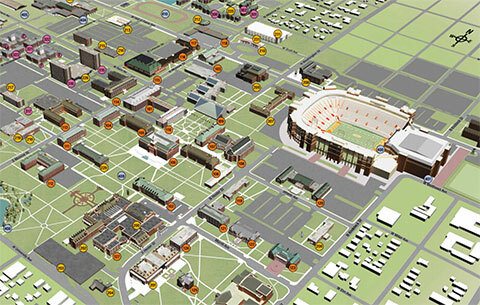 OSU continues to have the state’s highest ranking for best online graduate engineering programs. This isn’t the only honor the magazine has granted to OSU’s CEAT. The magazine ranks its online graduate engineering programs for veterans even higher, at No. 13. CEAT offers accredited, 100 percent online graduate degree programs designed specifically for engineers and scientists interested in accelerating their careers. Currently CEAT offers four online graduate degree programs including electrical and computer engineering, engineering and technology management, industrial engineering and management, and engineering technology-fire safety and explosion protection. Eighty-five percent of students are employed when they enroll for online graduate engineering programs at OSU. For more information on CEAT’s online graduate engineering programs, visit ceatonline.okstate.edu. The U.S. News rankings evaluate degree-granting online programs at regionally accredited institutions. U.S. News ranked schools using five categories: student engagement, faculty credentials and training, peer reputation, student services and technology, and admissions selectivity. For more information about how the rankings are calculated, visit here.